Fort Wayne, IN-(ENEWSPF)- The United States Attorney for the Northern District of Indiana, Thomas L. Kirsch II, announced that Danurell M. Blair, age 39, of Fort Wayne, Indiana was charged by way of complaint with bank robbery. According to documents in this case, the complaint alleges that on December 16, 2017 Blair entered a bank in Kendallville, Indiana, demanded money from the bank teller. The teller provided money from the top drawers of two teller stations and Blair stuffed it into bags he brought with him. At approximately 10:01am, a law enforcement officer observed Blair exiting the bank walking fast. The law enforcement unit also observed Blair driving evasively through area business parking lots. The unit attempted to stop Blair, however he fled creating a high speed chase. The police were able to stop the vehicle and take Blair into custody. “My Office is committed to working with our state, local and federal law enforcement partners to reduce bank robberies on the streets of Northern Indiana,” U.S. Attorney Thomas Kirsch II said in a statement. 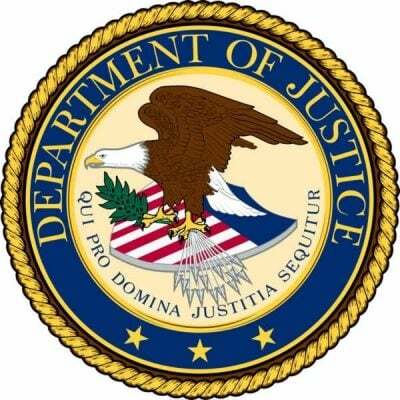 The United States Attorney’s Office emphasized that a Complaint is merely an allegation and that all persons charged are presumed innocent until, and unless, proven guilty in court. This case is being investigated by the Federal Bureau of Investigation with the assistance of the: Allen County Sheriff’s Department; Auburn Police Department; Churubusco Police Department; Fort Wayne Police Department; Kendallville Police Department; Indiana State Police; and Whitley County Sheriff’s Department. The case is being handled by Assistant U.S. Attorney Lesley Miller Lowery.